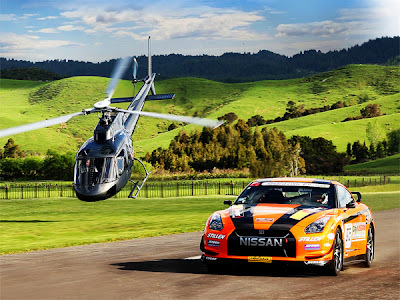 During the 2011 Targa New Zealand, the STILLEN Nissan GT-R took on a helicopter in quick down and back race. On the site are links to download the poster as wallpaper, a video, and how to get a copy of the poster for free with your order. The helicopter in the race is a Eurocopter AS350 (also known as a "Squirrel") powered by a Arriel 1D1 engine making 732shp. Head over to the STILLEN mini site for information on getting the poster for free with your order.Good while supplies last.